A golden rule of sales shopping is to ask two questions before buying. The first question is "Do I need this?" as in an actual need rather than a needy want. And the second question is "Would I have paid full price for it?". I find the second question negotiable. There can be things I see that I need and want but would baulk at paying the full price for, mainly because I don't have much money. And surely if you would've bought it at full price AND you needed it then you'd have, y'know, bought it already. Anyway, the point to all of that is sometimes you can buy things because you need them but you wouldn't have paid full price for them because you didn't have the money. Or you didn't think they were worth the money. 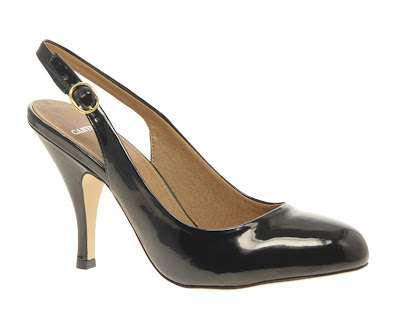 Like I'd buy these sleekly stylish slingbacks by Carvela. They were originally £95 but have been reduced to £32. £32 is much more affordable. 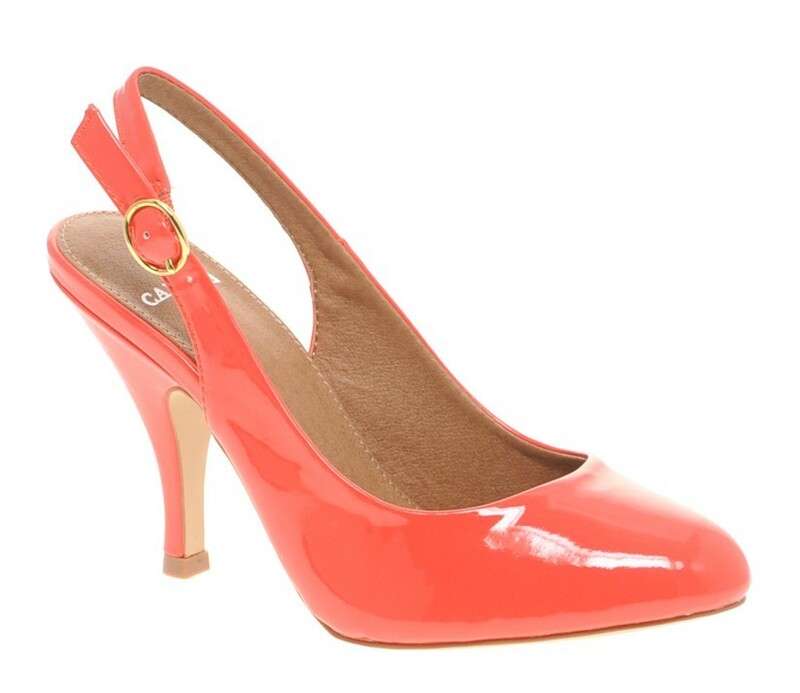 I'd be tempted to buy them in this pretty coral colour too. Though for some unknown reason they're now £35. Still you could buy both and they'd still cost less than one pair at the original price and that is why sales shopping should sometimes break the rules. These are so pretty! I tried them on in my local TK Maxx and they are ever so elegant - I ended up buying a few dresses instead, but my heart does still long for these...!